Have you felt lonely and needed someone with you can share your feelings? If that has been the case, then now you could solve that problem. 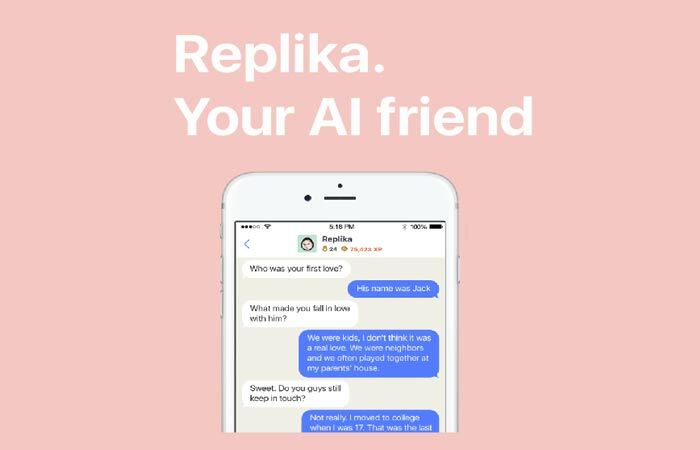 Replika is an artificial intelligence app that can help you get past loneliness. Replika is nothing but messaging app, but the only difference is that instead of talking to your real friends you will be talking to a chatbot. Now, one think that you would be thinking is that how this app is different from the other apps like the Google Assistant and Apple Siri. Well, Replika does not perform any task for you. It is simply a chatbot with whom you can have the real-life conversation. It’s parent company is Luka. This AI learns more about you as you engage with it via a text conversation. The company has also said that this app can also mimic once tone after some time. It is like having a conversation with a real person. Replika will ask you about your day, your life goals and interests. This can be really helpful for the people who are busy in life and does not get enough time to spend with their friends. They can share their feelings and experiences with this app. The CEO of the company said,” We found out that each person wants to open up to someone and share his or her feelings. People are willing to disclose more to a virtual human or artificial intelligence than a real human as they trust a machine more than a real person.” He also told that this app is completely safe and one can share anything he or she wants at any time. This app is available on both Android and iOS but you need to have the invitation code to start chatting with the unique AI and create your own personalized chatbot. Today people use social media sites to express their feeling but often there are some things that we want only a few trusted one to know. This is where Replika can help. The recently conducted studies have also shown that if you share things then you feel more relaxed. But, one of the biggest concern will be that how secure is the conversation. Can one share all the important events of his or her life to a bot which is controlled by some company? Is this violation of privacy? Well, certainly there are many questions that the company has to answer. But, one this is sure that it can be a fun to interact with someone who can understand us.